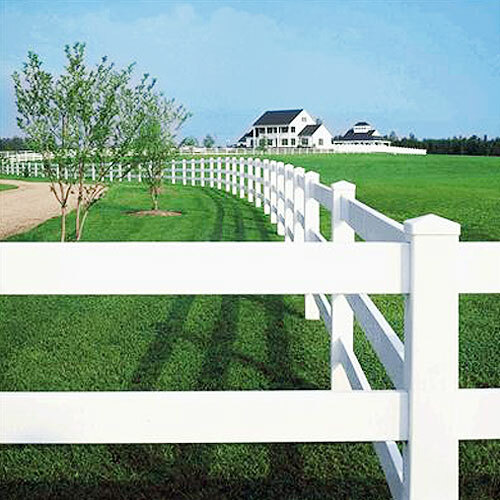 PVC fence can add beauty to your property and give your farm the appearance of excellence for years to come. Vinyl fencing is very low maintenance and has UV stabilizers in them so they will not discolor or fade over time. 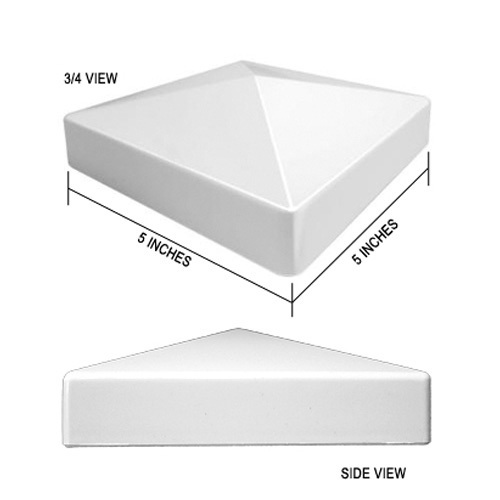 Our 5" vinyl horse fence post caps are easy to maintain and are impact and weather resistant. They do not require to be painted and will not chip, peel, rust or rot. Sold in packs of 10. 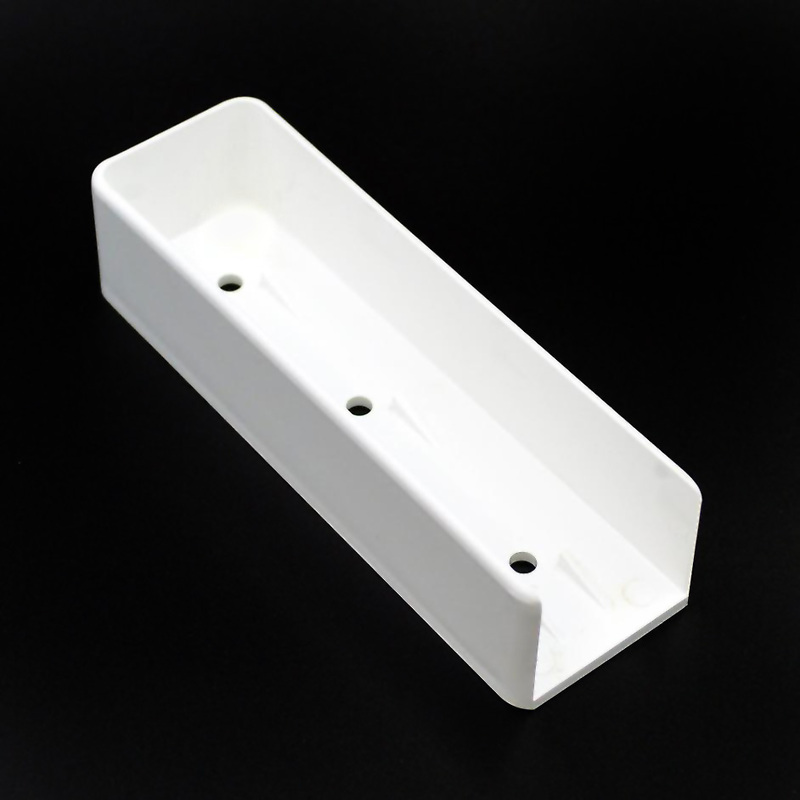 PVC Rail Mounting Bracket are used to connect the 1.5" x 5.5" rails to fence posts. The screws are not included, either purchase the 1" or the 1.5" depending on your situation. 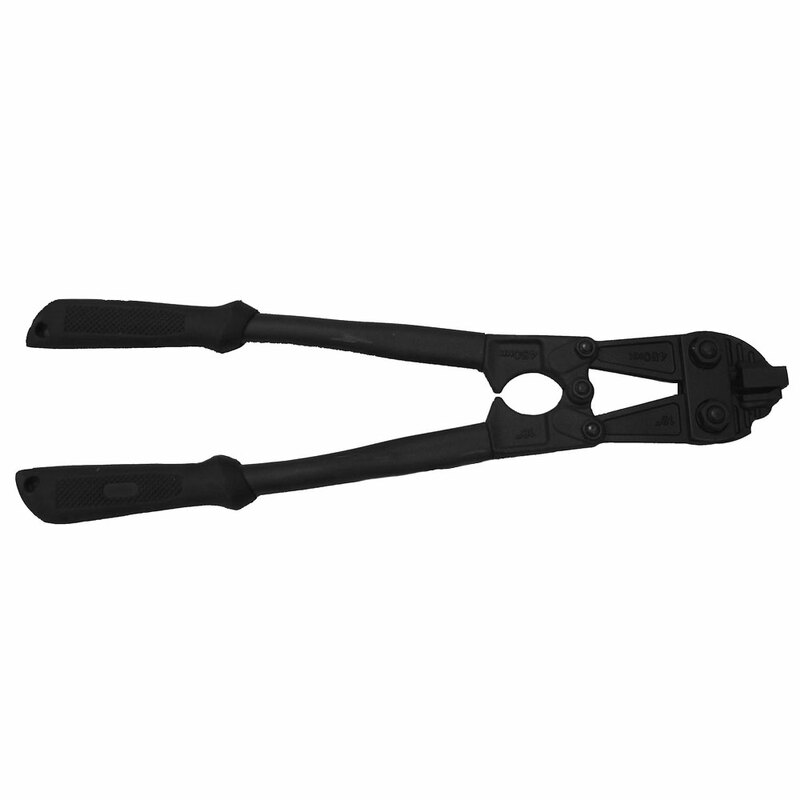 This heavy-duty PVC notching tool is used to notch blank rails to keep them in place. Secures gate in open or closed position. 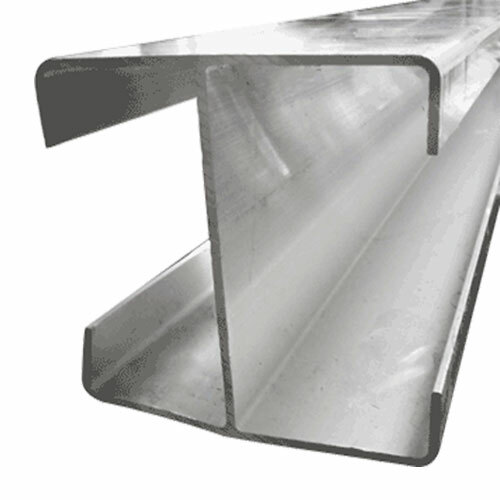 Place on the outside bottom edge of a PVC gate to secure an open or closed position. Due to the nature of PVC and the fact that it has no definite breaking capacity, we recommend it as a decorative fence around your yard, arena or driveway. If you choose to use PVC as horse fence containment, we recommend using electric fencing to protect you and your horses. Remember that horse fencing systems are not 100% horse proof, however some are more effective. At RAMM, we believe PVC Farm Fence is safer than high tensile wire horse fencing and other traditional styles of fencing, but it is better to be safe when dealing with large animals. PVC Fencing can be useful as decorative fence around your farm, along drive ways and for riding arenas. Available in 2, 3 and 4 rail systems, PVC offers beautification in vinyl with a traditional look. Caps, posts, rails and routings are all included in the system. RAMM Tip: We highly recommend the use of electric fence in conjunction with PVC fencing. 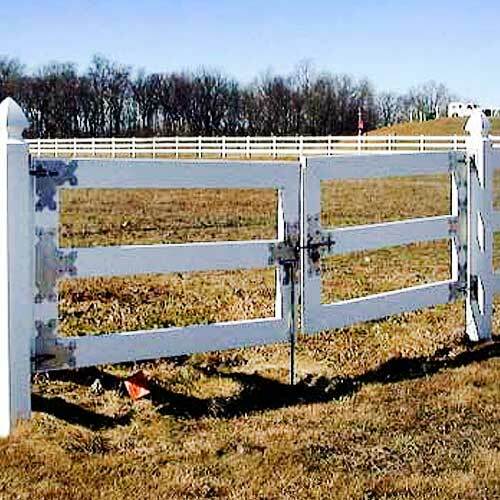 Our PVC horse fence supplies are top in quality and will aid in the upkeep of your beautiful PVC Fence, as well as keep it in optimal working order – to protect your livestock and investment. 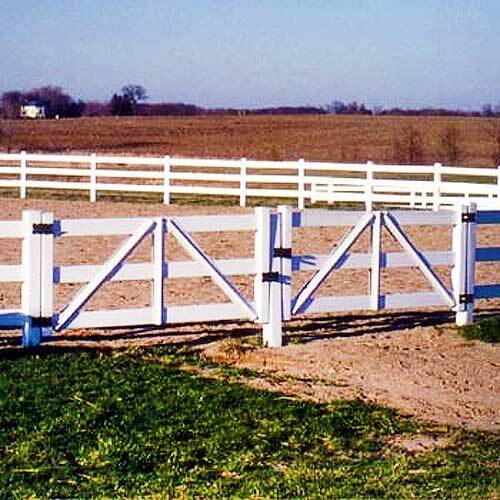 Please browse our Flex Fence® horse fence section and electric horse fencing systems for more options for your farm. Call one of our equine products representatives at 1-800-434-8456, for a free estimate on your PVC fencing project.